Man 1: New apps that’ll make your experience even better. Hey buddy. Woman: How cute are your ears? Man 1: You got a little something growing out of your hair, head there to get a little something. Ryan: Now, I was just at Disneyland in April. And so if you’re like me and you’re gonna make your yearly trip off to Disneyland, I’m gonna make your life so much better. Ryan: Because the year before, we went in 2016 or something like that, and it was terrible. It was just noisy and kids, and just… I didn’t wanna be there at all. Cody: That’s the worst part about Disney, the kids. Ryan: The kids, because I just wanna go on Space Mountain, and Star Wars opens in 2019, Galaxy’s Edge. Cody: Oh yeah, oh boy. Ryan: So anyway, this is gonna be amazing. So Disneyland has an app that you can use, that makes the park so much easier. So what it is, is it gives you a little map of the park, and it’ll tell you wait times for different things, it’ll tell you exactly what’s on menus at different restaurants, it’ll show you where restrooms are. You can make reservations for restaurants. You can scan your tickets, so that way you can just get in with your phone. It makes things so much easier. Now, here’s the quick pro-tip. For 10 bucks extra per person, I know it sounds expensive, but for 10 bucks extra per person, you can get the MaxPass. And what that does is it gives you access to all of the photo passes throughout the park, so you don’t have to pay extra for all the photo passes. Plus you get to do your fast passes for all the rides from your phone. So you could be over on Indiana Jones, click “Fast Pass” for Space Mountain, walk right over and get right on. Cody: Oh, it’s so much better. Ryan: How cool is that. Woman: Wait, what’s that app called? Ryan: We were going from thing to thing to thing. We were very rarely sitting in lines. This is awesome. So they also have the same thing for Walt Disney World, so if you’re going all the way over to Florida and checking that out, you can use the same thing. Now, Walt Disney World has a little different thing, they call it the “Magic Band”. It’s a little bracelet you can use, and it’s like a GPS locator. It works with the app, it’s kinda cool. It also can load a credit card on there so that way if you go to a store you don’t have to pull out your wallet. You can just “beep” and just take whatever you want. Cody: What are these called again? Ryan: So this one is called just the “Disneyland” mobile app. This one is called “My Disney Experience”, that’s the one for Orlando. Now, this is kinda cool. This is called “Virtual Plaid” by Howard Johnson. This is a virtual assistant that can help you while you’re at Disneyland. So what you can do is let’s say I go, “You know what, I’ll go on Space Mountain, but only if the line is 15 minutes long.” She’ll alert you when that takes place. She’ll also give you menus and things like that. So… This is also totally free, and it’s pretty cool so you just download it and play with it. And it just makes the experience just a little bit better. Now, this just came out, this just came out on June 30th. This is called “Disney Play”. Now, what this does is it allows you to kinda use the waiting in line as a playing experience. So different games are available depending on where you are in the park and what lines you’re waiting in. It’s also got trivia, so you can answer questions and things like that. So it just makes your line experience is just a little fun. Kinda cool, right? Just came out. Ryan: Well, that’s okay. Like, do you know that you can’t…if you work on the Haunted Mansion you can’t smile? And my kids, my favorite thing to do is to tell them jokes and try to get them to smile. So anyway, here’s the last thing. 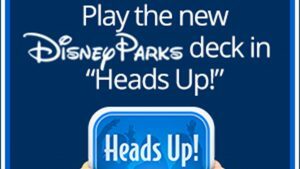 This is the Disney Parks “Heads up!” So you remember Ellen, she came up with the cool little “Heads Up!” thing? Woman: Oh, my gosh, yes. Ryan: So this is a pack that you can get for free if you’re in the park, and you can download it for free. It’s got Disney trivia and things you can play with kids, and just do the weird little “blah” with the cool trivia stuff. So that’s kinda fun, huh? Ryan: These are all free, you can use all of these for free. Cody: Okay, all right. Did you know that in this Small World, all the little things, the little characters, and stuff are actual children that were bad? Glued their feet to the floor, make them sing the song over and over again. Ryan: Oh no. Oh no, no, no. Ryan: Do you know the Jungle Cruise script by heart? Ryan: Oh no, you would be terrible to go to Disneyland with. Cody: Not one, not two, not three, but four longest rivers in the world. All right, back to you guys. Man 1: There it is. Thanks, Ryan. A visit to Disneyland or Disney World is one of those experiences you don’t forget. Maybe it’s the magical blending of comfortable familiarity with vividly surreal wonder. Maybe it’s the promise of complete escapism. Or perhaps it’s just the potent rush of adrenaline combined with a steady supply of sugar-laden snacks. Whatever it is, a Disney vacation tends to produce vivid, fond memories. Walt Disney’s prediction was correct. 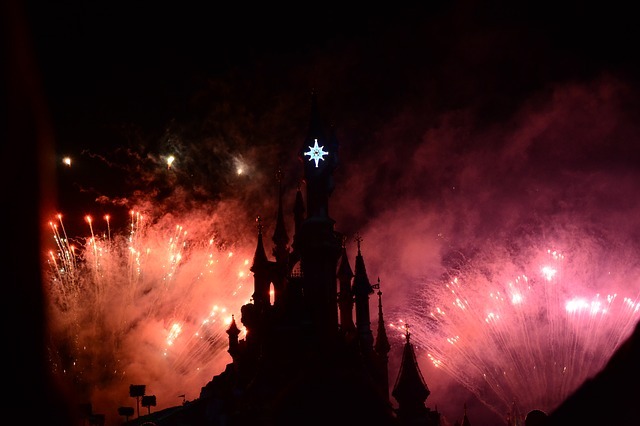 Over sixty years since Disneyland opened its gates, the franchise keeps growing. Every year, new experiences are devised, new rides built, new characters introduced. It’s dazzling and exciting stuff. But there’s a catch! If you’re unprepared it can all be pretty overwhelming. First, there’s the crowds and the heat. Then there’s the challenge of keeping track of the rides you’ve planned, finding food, keeping the kids entertained while you’re standing in line. Even for the seasoned Disney veteran, this much fun can take some serious work and planning. This is where a few must-have apps can make the world of difference. 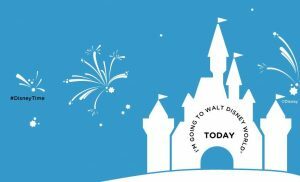 If you and your family are planning to dust off your novelty mouse ears for a Disney vacation, you’re going to want to think about installing these useful apps to your smartphone first. 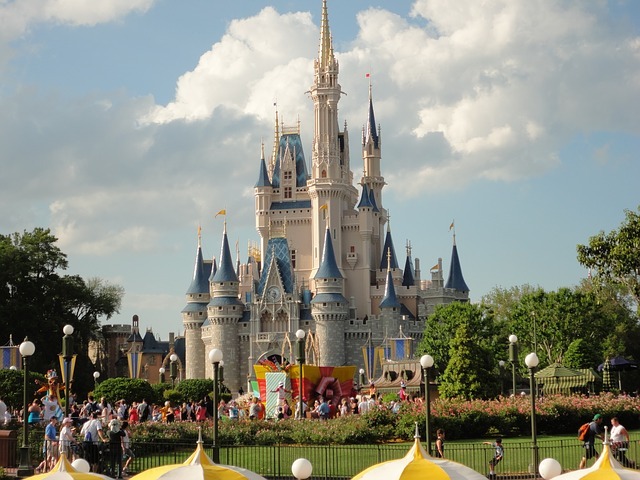 Disneyland and Disney World are built to accommodate an army of visitors. Disney World alone has an average daily visitor count of 53,000 visitors. To make that happen smoothly, Disney relies on systems for “organizing the fun”. There are systems for everything and for the logistics nerds among us, we think you’ll agree it’s a triumph in human organization! You can download the Disneyland app here. You can grab the Disney World app here. 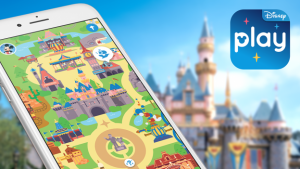 You might be wondering why you’d need any other apps to help keep you organized if the official Disney apps can do so much. Virtual Plaid does provide similar information but it does it in a very different way. The goal of Virtual Plaid is to provide a virtual tour guide experience. Imagine having an experienced guide to help you get the most out of your Disney visit. Not sure what to do next? Your personal tour guide can offer a few suggestions based on your own unique preferences. Wondering when Space Mountain has a shorter wait time? Your guide can suggest the best time. 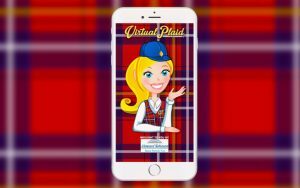 The Virtual Plaid app is designed to simplify your Disney stay and for this reason, it’s perfect for people who are Disney first-timers or who just want to get help making decisions. You can learn more and download the app here. Let’s face it. Queues are part of the Disney experience. Sure, you can be smart about avoiding them as much as possible, but sooner or later (and usually sooner) you’ll end up standing in a long line. The good news is, there are a bunch of Disney themed apps to keep you and your family entertained while you wait. Here are a few of our top picks. How to describe Heads up? It’s a bit like charades. It’s a bit like Trivial Pursuit. Most importantly, it’s a lot of fun and you can play it in a group. Even better, a version of the game has been developed specifically for Disney! This game will make the time go by much faster and it’s a gem to have on your smartphone. The good folks at Disney have their own offering too. This app is hot off the press. It was launched in June 2018 and we gotta say it sounds pretty amazing! There’s a bunch of activities to play anywhere in the parks, but this app also features games and challenges which are only unlocked in specific areas (usually attached to rides or attractions). We’re talking trivia games, audio experiences, and other themed content. It even has achievements you can earn and share, which sounds a bit like the badge equivalent of Pokemon Go! We almost hope we get caught up in queues the next time we’re at Disney just to try some of this nerdish goodness out! You can learn more and find links to the app here. So you’ve booked your big Disney vacation and there’s a big red circle on your calendar for the whole family to look forward to. Why just stop there though! This handy little app is specifically designed for one thing: to build up the excitement. Choose a background, set your departure date and this app will do the rest, providing you with a countdown and a bunch of useful planning tips along the way. It’s a simple little app and it’ll set you back a measly buck. Well worth the investment. iPhone users, you can download it here. Android users will find it here. Another great way to get into the “It’s a small world after all” mood is to check out the Disney YouTube channels. There’s a wealth of stuff here, covering the whole Disney experience. You can find a list of Disney channels here. A great option for kids (and adult nerds who dig the history of animation) is the Mickey Mouse channel. It has almost 2 million subscribers and includes some really cool early Mickey animations. Oh My Disney is another entertainment rabbit hole well worth exploring. It “takes your favorite things about Disney and places them in quirky, fun, relatable situations.” Want to see actual sloths taking over an actual DMV? This is the channel for you. For your next Disney trip, these apps will help you take the fun to the next, nerdish level. Have fun. Oh and don’t forget to hydrate!